Our gamer vocabulary acronym for today is “RTS”. RTS stands for real-time strategy. Short for real-time strategy, it is a game genre. An RTS game is usually from a third-person perspective, and in these games you control vast numbers of soldiers (called units) in a tactical game scenario. Newer RTS games allow you to compete against others over the Internet or LAN, or to play allies against computer players with other gamers. 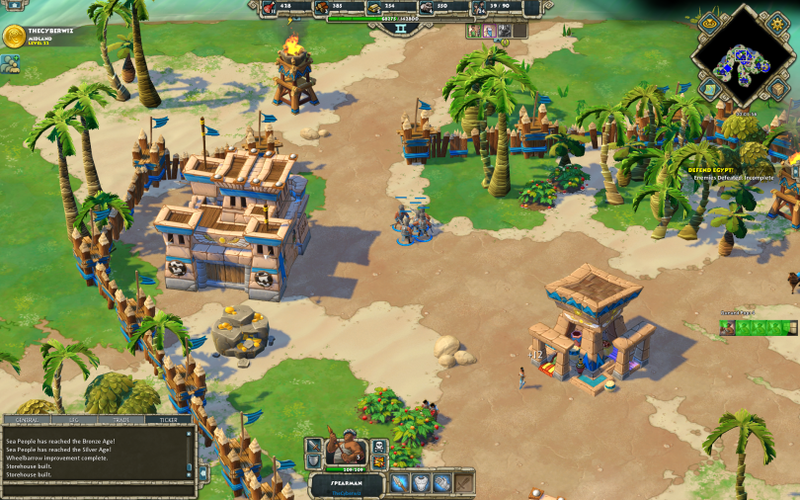 Here are screenshots of two recent RTS games, Age of Empires Online and Starcraft 2. RTS games are distinct in the strategy genre in that the action occurs in real-time. This requires the player to be able to think and react quickly. The player must be able to adjust his/her strategy based on what the other player (either another person or a computer controlled opponent) is doing. The back and forth nature of an RTS match has helped e-sports develop. Starcraft 2 is one of the games featured by Major League Gaming (MLG). Here is one of the matches from a recent competition.